Grilled cheese is a childhood staple. What's better than warm, buttery bread and gooey, melted cheese? We're taking a menu favorite to the next level to celebrate the end of summer. 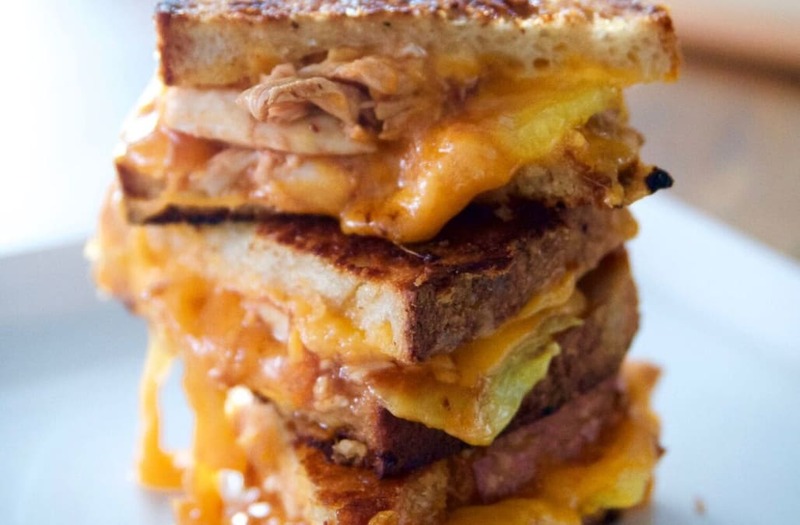 Enter the adult grilled cheese, with piles upon piles of sweet barbecue chicken and refreshing pineapple. There's no turning back after this yummy summer dish! Preheat skillet to 300 degrees. Glaze the cooked chicken breasts with sweet barbecue sauce. Shred the barbecue chicken breasts with a fork. Flip the sliced bread over and pile on cheddar cheese. 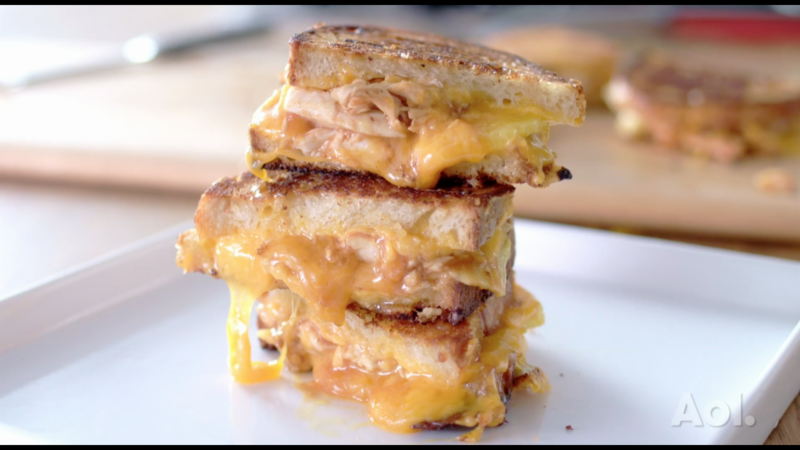 On top of the cheddar cheese, pile on the barbecue chicken. Place sliced pineapple on top. Finish it off by sprinkling even more cheese! Top it off with another piece of bread. Grill the sandwich until it is perfectly toasted on each side.